Solar energy is an investment with long term returns. And to achieve that, the system on which you have invested heavily must function for a long-standing period. There are several components and sub-systems encompassing a solar PV power plant. These components and sub-systems entail diverse sets of O & M services. The expansion of solar energy systems to generate electricity harnessing solar energy has been an intermittent phenomenon in India. 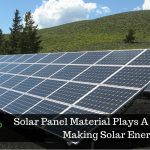 Nevertheless, there are many solar projects that have been ongoing to enter the stage of maturity. 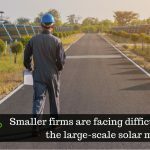 It is estimated that by the end of this year, the total solar rooftop system installations will exceed 2 GW and nearly half of these would have completed over 1 year of operations and maintenance. Despite how well planned and well implemented your Engineering, Procuring, and Maintenance (EPC) services were, once the plant starts to become mature, solar operations and maintenance services become highly significant to improve the rooftop solar plant performance. 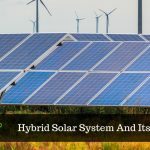 Let us dig into some important aspects related to solar operations and maintenance services that holds the key for a long and prosperous life of your rooftop solar plant. The energy produced from solar modules rest upon the optimal cleaning frequency of the panels. Since there are no parts in the PV modules that are moving, cleaning of the panels is an easy task. Depending upon the environment, however, the panels may need frequent cleaning, for instance, in dusty conditions. Solar inverters are at the heart of a solar rooftop system. Moreover, they are one of the most complicated components of a solar system. Since they are indeed electronic devices, care must be taken for them as it is needed for other electronic devices. Always protect them from the hot, humid, and dusty conditions. A clear understanding of warranty terms from the suppliers is a must-have for every asset owner. The O & M people must also have a good idea about the warranty schemes. The types of defects covered, the duration, and the key personnel from the supplier who takes up and enforces the warranty claims must be well comprehendible both to the asset owner and the O & M personnel. A good thing about India’s geography is the availability of plenty of sunshine. But the plants located at places that receive abundant sunlight are mostly in remote and arid regions where availability of water is threatened. With the dust accumulation on the panels being high, the panels require more frequent cleaning. As part of O & M services, water must, therefore, be used with discretion. O & M activities demand highly trained workforce in electrical and electronics engineering. Sometimes however, it becomes quite difficult to get these skilled people to move to remote locations for work. Always make sure to hire people who have expertise and experience to work in tough conditions and isolated locations. A solar rooftop system produces returns over a long period, about 25+ years. And a good O & M procedure is vital for its achievement. Taking these 5 factors into consideration, a long and prosperous life, if at least not 100% guaranteed, is highly probable. Rooftops are the receptors of a good amount of direct sunlight. With SaveGeo’s rooftop solutions, you can transform your rooftop into a solar power plant which is an excellent source of solar energy, for both commercial and residential consumers.